Shlomi Lazmy, a blind Israeli disdabled veteran, won first place in the International Blind Sports Federation’s 2017 Tenpin Bowling World Championships for the blind held on August 26 in Fukuoka, near Tokyo. In the semifinals, Lazmy beat a Korean opponent 137-125 and in the final he beat Petrie McIvirta of Finland 138-104. Lazmy, 60, was blinded in a mine explosion in the Golan Heights during army reserve duty in 1986, when he was a 28-year-old newlywed. In 1992, he represented Israel at the Paralympics in goalball, a soccer-like sport for the blind where goalies and players are guided by the jingling of bells inside the ball. In 2009, Lazmy’s teenage son encouraged him to find out about bowling leagues for the blind via his text-to-voice computer. At the time, Israel had only a lawn-bowling league for people with visual impairments, but not one for 10-pin bowlers. Lazmy became a pioneer in this sport, using a special guide rail his brother made for him. “This sport can be played just as sighted people play it, with the same ball and the same lane. I do other sports for the blind, but this needs the least adaptation. I need just the guide rail,” Lazmy told ISRAEL21c in 2012. 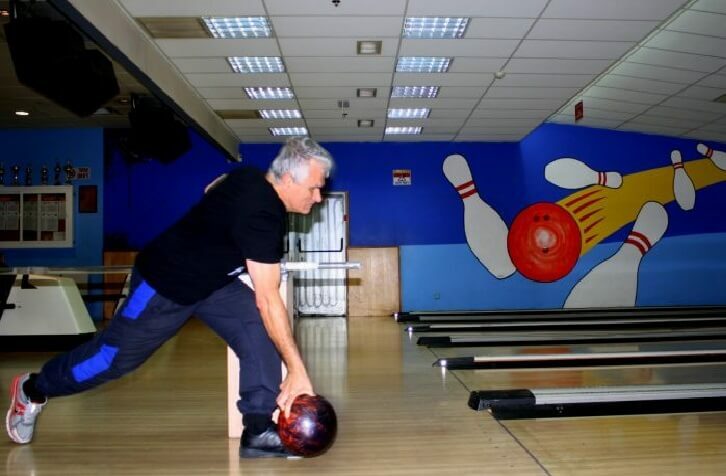 He practices twice a week at a nearby bowling alley in Holon, a suburb of Tel Aviv. A companion tells him how many and which pins he knocked down. His coach, Gadi Aviram, accompanied him to the event in Japan. He practices regularly with the Tel Aviv’s Beit Halochem Goal Ball Team.